Do I really need an acoustic guitar amp? any guitarists at some point are asked, or ask themselves why there are specific acoustic guitar amps. Why can’t you just plug an acoustic guitar into an electric guitar amp and vice versa? Is this just marketing mumbo-jumbo to get you to spend more money? 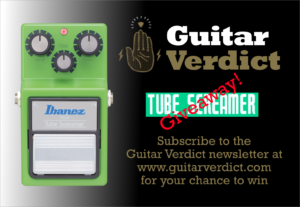 If you own an electric guitar amp and want to play an acoustic guitar through it, what will happen? Let’s dig into this a little and try to understand what the difference is and what options you might have open to you. Is this just marketing mumbo-jumbo to get you to spend more money? Many professional musicians would agree that to get the best amplified sound from an acoustic guitar, you should us a PA…that is a plain, full range speaker. The reason is that you want to amplify the exact tone of the guitar, without colouring it with the characteristics of an amp. Whereas the tone of the amp is so important for electric guitars, the tone for an acoustic guitar comes from the guitar itself, that large wooden body made with carefully selected tone woods. That being said, acoustic amplifiers come with features and specs that offer more to the player than a simple PA. Things such as multiple channels to cater for different needs such as microphones and piezzo pickups, as well as on board effects like chorus, reverb and delay. Acoustic amps are also generally more portable and self contained than PAs. You can browse this list to get an idea of the range of options available. So what is the real difference between an electric amp and an acoustic amp? What you tend to hear from salesmen are things like “an electric amp is voiced for an electric guitar”…or…”the speaker in the acoustic amp is full range”. This is largely true. An electric guitar amp will colour the sound, it is a major part of the eventual tone that you will hear. The idea with an acoustic amp is to provide a full range amplification of the guitar, similar to a PA. Many acoustic amps will also include a tweeter to provide a more full range output. 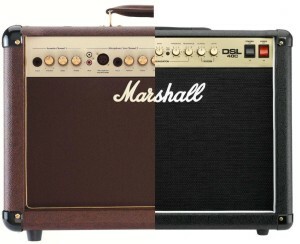 So the main difference is in the speaker…an acoustic amp should not change the tone of the guitar, whereas an electric guitar amp will definitely colour the tone. What if I can’t afford a new acoustic amp? So do you need an acoustic amp? Not everyone can afford to have multiple amps, so what if you already have an electric guitar amp but can’t afford to get an acoustic amp? Well, you can use your electric amp, it won’t break it. It might not sound great, but who knows, with some EQ adjustment, you might get a reasonable tone for practice. Can I use my electric guitar in my acoustic amp? 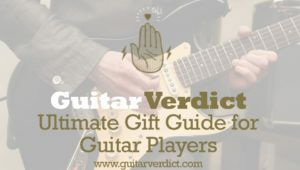 Similarly, what if you have an acoustic amp and buy an electric guitar? Can you use the electric guitar in your acoustic amp? Well the answer again is yes, and the good news is that you’re probably more likely to get reasonable results from this scenario. It will depend on your guitar and the amp, but the bottom line is that if you can’t afford a new amp, you can give it a try with your existing gear and see what you think. So do you need an acoustic amp? The answer is, not really…but if you can afford it or if you want the best amplified tone, then having a specific amp or PA for your acoustic guitar will give the best results. What do you think? Have you had experience with using electric guitars in acoustic amps, or the other way around? Leave your comments and you might help others to learn. Which acoustic amp to get? If you do decide to get an acoustic amp, and you’re wondering which one to get, you can browse this list of acoustic guitar amps. You can also check out our reviews.